GEORGETOWN, Guyana — The government of Guyana plans to secure financing to upgrade and extend the runway and build a modern terminal at the Lethem airstrip with the intention of turning the airport into a “regional hub and international airport”. Lethem is a town close to the frontier of the Brazilian state of Roraima. When the project is completed, Guyana will have three international airports. The government is actively seeking a US$15 million loan to finance the project, which may finally open the frontier of Guyana to human settlement and development. This is important since the capital of Guyana, and low-lying areas along the coast are frequently inundated by heavy rainfall. 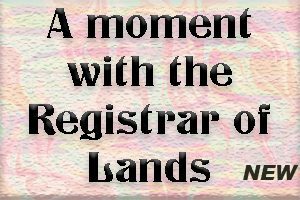 For this reason, there has been a push to move the capital to the Essequibo region of Guyana. Finance Minister Winston Jordan said on Monday during his 2018 budget presentation that the upgrade of the Lethem airstrip will allow for flights originating from Brazil and other Latin American neighbours to land there. Meanwhile, the government has allocated GY$5 billion (US$24 million) to complete the upgrading of the Cheddi Jagan International Airport (CJIA), which includes the runway, rehabilitation of the arrivals terminal, and the construction of a departure terminal. The upgraded airport will be able to accommodate larger aircraft and handle an increased number of passengers, Jordan noted. 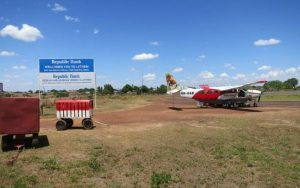 The upgrading of the Lethem airstrip to accommodate regional flights will definitely spur development of the sleepy frontier town in the hinterland of Guyana that borders Brazil. There is no air connectivity between Guyana and Brazil despite sharing a long border. People must travel to Suriname, Panama or Miami to get to Brazil from Guyana. The government did not disclose the length of the planned extended runway. The current runway is about 6,000 ft and can easily be extended due the favourable geography and availability of land. The length of the runway will indicate what type of aircraft will land there. CHARLOTTE AMALIE, St. Croix, Dec 8, CMC – The Federal Aviation Administration (FAA) says engine problems may have contributed to the fatal crash of a private chartered plane that killed all five people on board last Thursday. 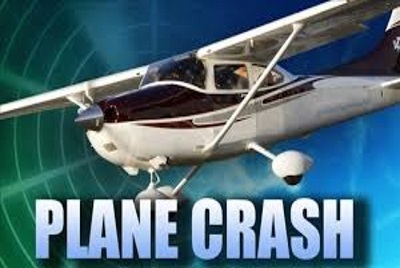 The plane crashed soon after taking off from the Rohlsen Airport on Thursday night and the FAA in its preliminary report noted that the aircraft, which was on its way to St. Thomas, returned to the St. Croix airport because of engine problems. The Beech aircraft with registration number N449A, was destroyed by fire on airport property, according to the FAA preliminary report. A statement issued by the Virgin Islands Port Authority (VIPA) said the incident occurred at 8.45 pm (local time) and VIPA director, David Mapp, told reporters that no one had survived the wreck of the private plane. Media reports said that among the casualties was a member of the Stylee Band, one of the territory’s premier groups, which is a highlight of the festival season. Police Commissioner Delroy Richards told the media that the aircraft, a private chartered plane, took off from the St. Croix airport and soon after started experiencing engine problems, with flames coming from one of its two engines. The names of the deceased have not yet been released. EL-ARISH, Egypt — Militants attacked a crowded mosque during Friday prayers in the Sinai Peninsula, setting off explosives, spraying worshippers with gunfire and killing at least 235 people in the deadliest ever attack by Islamic extremists in Egypt. The attack targeted a mosque frequented by Sufis, members of Islam’s mystical movement, in the north Sinai town of Bir al-Abd. Islamic militants, including the local ISIS affiliate, consider Sufis heretics because of their less literal interpretations of the faith. The ISIS affiliate has been waging a stepped-up campaign of violence in northern Sinai for years and has claimed deadly bombings on churches in the capital, Cairo, and other cities, killing dozens of Christians. It also is believed to have been behind the 2016 downing of a Russian passenger jet that killed 226. Egyptians walk past bodies following a gun and bombing attack at the Rawda mosque, roughly 40 kilometers west of the North Sinai capital of El-Arish, on November 24, 2017. A bomb explosion ripped through the mosque before gunmen opened fire on the worshippers gathered for weekly Friday prayers, officials said. Victims including some 130 wounded were rushed to local hospitals, they added, speaking on condition of anonymity because they weren’t authorized to brief reporters. No one claimed responsibility immediately following the attack, but ISIS has targeted Sufis several times in the area in the past, notably beheading a leading Sufi religious figure, the blind sheikh Suleiman Abu Heraz, last year and posting photos of the killing online. President Donald Trump condemned the “cowardly” attack on Twitter, and took the opportunity to tout the need for a border wall and travel ban, even though his most recent ban doesn’t affect Egypt. He also said he would be speaking with Egypt’s president, Abdel-Fattah el-Sissi, later Friday. Egyptian president Abdel-Fattah el-Sisi has condemned the extremist attack on a mosque in the troubled Sinai Peninsula, calling it “criminal” and “cowardly” and expressing condolences to the victims and their families. In a statement after the meeting, el-Sissi said the attack “will not go unpunished” and that Egypt will persevere with its war on terrorism. The suffering of the victims was not in vain, he added, and will only “add to our insistence” to combat extremists. Addressing the nation later on television, he repeated his view that Egypt was fighting a battle for the rest of the world. State condolences poured in for Egypt, including messages from Israel, the United Arab Emirates, the U.S., Russia, France and Britain condemning the violence. Egypt is also facing a growing number of attacks by militants in its Western Desert, including an attack last month that killed 16 police, according to an official tally issued by the Interior Ministry. Security officials have told journalists that dozens more, including high-ranking counterterrorism officers, perished in the Oct. 20 attack some 135 84 miles southwest of the capital, Cairo. ST. GEORGE’S, Grenada, Oct 13, CMC – The Caribbean is predicting a slowdown in the growth of tourist arrivals for the remainder of the year as the region comes to grips with the destruction caused by three hurricanes that left trains of death and destruction when they made their way through the Lesser Antilles last month. Chairman of the board of directors of the Barbados-based Caribbean Tourism Organization (CTO), Joy Jibrilu, addressing a news conference on the final day of the State of the Tourist Industry Conference (SOTIC 2017), told reporters that the Caribbean had been performing at a healthy growth rate of 5.2 per cent between January and June, when compared to the same period last year. She said that the growth during that period reflected economic stability in the market, expansion and inauguration of flights by major carriers, and new marketing and product development initiatives. “During the first six months, the region recorded 16.6 million international tourist arrivals, some 800 thousand more than in the first six months of 2016. Growth was recorded in all major source markets except South America, which contracted by 14.3 per cent,” she said. She said that up to June, the European market had grown by 7.9 per cent, Canada by 6.4 per cent and, despite the weak Sterling currency, the United Kingdom had registered 4.8 per cent growth. Jibrilu said that the half-year outcomes reported by STR Global showed that average hotel occupancy increased marginally by 0.2 percentage points to 70.8 per cent, while the average daily room rate rose slightly by 0.2 per cent, moving from US$220.84 in 2016 to US$221.38 in 2017. “Like tourist arrivals, growth in the cruise sector also remained positive and stronger than the expected performance in the first half of the year. At the end of the first six months of 2017, it is estimated that cruise passenger arrivals to the Caribbean region had reached 15.3 million, 4.0 per cent more than in the corresponding period of 2016. This performance represented the largest number of cruise passengers in the region at this time of year,” she said. However, with the passage of Hurricanes Irma and Maria, the growth rate will slow down in the remaining quarters of the year. As a result, the expected growth rate of tourist arrivals will range between one and two per cent in 2017, with the 2018 performance expected to be similar she said. Jibrilu told reporters that while being sensitive to the impacted members of the CTO family, “we were also challenged to consider ways to tell the world that most of the Caribbean remains open for business” following the storms. 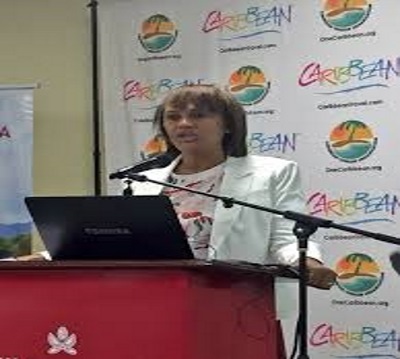 “We recognised that there is a need by consumers, the media and even travel industry professionals, of a greater understanding of the geography of the region,” she said, adding that there was general agreement that the Caribbean – both public and private sectors – must find the funds to get the message out. During the meeting here, delegates discussed ideas on how to emerge from the hard times, bigger, stronger and more sustainable and Jibrilu said it was also an opportunity for the affected countries to share their stories and garner support. 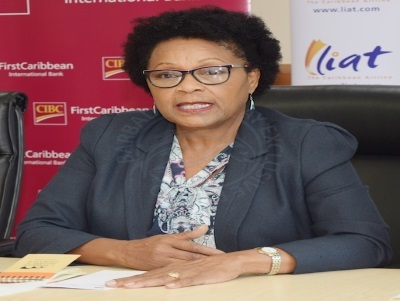 She said the discussions will help to inform into the United Nations World Tourism Organisation (UNWTO), Jamaica government, World Bank Group and Inter-American Development Bank Global Conference on Jobs and Inclusive Growth, scheduled for November 27-29 in Montego Bay, Jamaica. Jibrilu said Jamaica’s Tourism Minister, Ed Bartlett, chaired a high-level meeting with the aim of developing a strategic framework for the establishment of a Global Caribbean Tourism Recovery Team (GCTRT) to coordinate the tourism product restoration efforts. “It was agreed that a Global Caribbean Tourism Recovery Team (GCTRT) would be established under the chairmanship of Minister Bartlett, and would include representatives of the CHTA, CTO, the WTTC and the UNWTO,” she said, adding that a secretariat will be established, with responsibility for coordinating the technical support, capacity building, communication strategy, multilateral and bilateral agency engagement, as well as the management of public/private partnership arrangements regarding the restoration of the tourism product across the Caribbean. KINGSTON, Jamaica, Oct 4, CMC – Leading experts in disaster preparedness and mitigation, recovery, funding, airport development and maintenance among other stakeholders will meet in Grenada net week to discuss ways on how the United Nations World Tourism Organization (UNWTO) conference in Jamaica in November can assist Caribbean countries battered by Hurricanes Irma and Maria. Tourism Minister Edmund Bartlett Wednesday said that the four hour discussions will be held on October 12 as part of the weeklong Caribbean Tourism Organisation (CTO) State of the Tourism Industry Conference (SOTIC) to be held in St. George’s. He said it is the hope that the outcome of the meeting could into the special session of the November 27-29 UNWTO conference in Jamaica “and that a document will emerge from SOTIC which will help to inform that session at the Jamaica/UNWTO summit”. “Recover & Rebuild will focus on the economic cost of the disasters, including the potential impact on gross domestic product, employment, the cost to rebuild and the recovery time. Key recommendations emerging from Recover & Rebuild will form part of the comprehensive document which we believe will have industry-wide international significance,” Bartlett said. He said he was urging all stakeholders within the tourism industry to attend both the Grenada and Jamaica meetings adding that “these two crucial events will help set the course for recovery and growth for all of us over the next year and shape the future of tourism for the Caribbean region”. Several Caribbean countries, notably, Dominica, Antigua and Barbuda, British Virgin Islands, Anguilla, St. Maarten were battered by the hurricanes last month as they made their way through the Lesser Antilles leaving a trail of death and destruction estimated at billions of dollars. Bartlett said that Jamaica “continues to extend our thoughts and prayers to our Caribbean brothers and sisters” and recognises that the entire Caribbean region will be adversely impacted by the lasting results of two hurricanes. He said Kingston has recognised the efforts of the Barbados-based CTO, in conjunction with the Caribbean Hotel & Tourism Association (CHTA) as well as the Caribbean Disaster Emergency Management Agency (CDEMA) in assisting the region and ensuring that timely and accurate information is disseminated. He said a meeting held last month in China of the UNWTO and attended by 10 countries from the Caribbean and Latin America agreed on the need “to assist in the Caribbean natural disaster risk management and response initiatives” and to include in the Jamaica conference an opportunity for all interested parties to discuss and implement a plan of action. MIAMI, Oct 3, CMC – The Caribbean Hotel and Tourism Association (CHTA) has launched a booking initiative that allows hotels across the region to help those who have been adversely impacted by Hurricanes Irma and Maria. The CHTA said that the initiative will also highlight the fact that more than 70 per cent of Caribbean destinations have not been affected and are ready to welcome visitors as usual. CHTA said that it’s “One Caribbean Family” movement has been developed to help the vital tourism industry get back on its feet and will serve as a hub for hotels, travel advisors and tour operators who would like to make a contribution through guest bookings. It said donations made through the initiative are sent to the Caribbean Tourism Recovery Fund managed by Tourism Cares, a non-profit organization which has partnered with CHTA to anchor the tourism industry’s hurricane recovery efforts in the Caribbean. 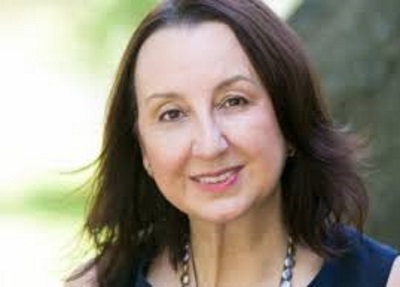 “We want to show our solidarity with the Caribbean countries affected by these storms, not just in words but with actions that can bring relief to those in need,” said CHTA president, Karolin Troubetzkoy. She said while she is encouraged by the initial pledges of support for the One Caribbean Family initiative by some of the region’s hotels and international tour operators and travel advisors, she would like to see more Caribbean hotels and trade partners come on board. “While this may sound idealistic, the need to come together and act as one Caribbean tourism family has never been greater,” she said, applauding the tourism industry partners who have launched fundraising initiatives of their own, but hopes these will not deter them from also participating in the One Caribbean Family initiative. “To bring aid to the countries and the people who were affected will be an enormous task, and the One Caribbean Family initiative is a unique way to spread the good word that most of the Caribbean is open for business while helping those destinations most in need,” she opined. Troubetzkoy said her company is pledging to donate up to US$50 for each booking for travel between October 1, 2017 and December 19, 2018. “We started this pledge for direct reservations and bookings through our travel advisors, but now we are also including some wholesalers who will match our donation,” she said, adding that guests wishing to make additional contributions to the Fund will receive resort credits up to US$250, depending on their contribution. The Caribbean Tourism Recovery Fund allows tourism industry stakeholders and friends of the region throughout the world to pool their resources in support of vulnerable, devastated parts of the Caribbean that welcome millions of visitors in a region that supports 2.4 million tourism-related jobs. The Fund’s focus on the recovery of islands directly affected by Hurricanes Irma and Maria complements existing relief efforts and gives the tourism industry a way to leverage its resources to help the region bounce back, ideally better than before. Posted on 22 September 2017. BRIDGETOWN, Barbados, Sep. 19, CMC – A team of firemen from the Barbados Fire Service left the island on Tuesday for Dominica to render much needed assistance to the country that was devastated by Hurricane Maria late Monday. Chief Fire Officer, Errol Maynard, confirmed that four teams were mobilised following an emergency meeting at the Bridgetown Fire Station on Tuesday morning and the teams will be rotated in the island over the next six weeks. He noted that all off duty personnel have beencalled into action to maintain numbers locally. Maynard said the first team would include a commanding officer and six fire officers who were emergency management technicians and rescue personnel, to provide assistance to the country in those areas. In addition, a four-man team is expected to be deployed to render assistance in Tortola in the British Virgin Islands on Wednesday. 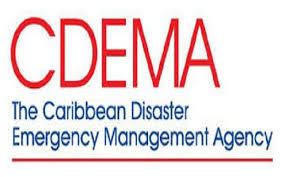 The rescue effort was being coordinated through the Caribbean Disaster Emergency Management Agency (CDEMA). This disclosure has come from the BDF’s Public Relations Officer, Captain Maria Moore, who said humanitarian assistance and disaster relief would be provided to the island. The BDF contingent is expected to be deployed within the next 12 hours aboard the HMBS Leonard C. Banfield. Captain Moore added that Barbadians could also provide support to Dominicans by donating bottle water, medical/first aid supplies, canned foods, baby items and general hygiene products to the BDF at St. Ann’s Fort, Garrison, St. Michael, or the Barbados Coast Guard . She said the items will be taken when the Coast Guard vessel sets sail with BDF and Barbados Fire Service contingents. As part of the BDF’s mandate, support is provided to the Regional Security System, Member States, CDEMA, CARICOM and the wider region. Meanwhile, CDEMA’s Executive Director, Ronald Jackson on Tuesday said Barbados will be the hub for the Dominica disaster response. During a media briefing he disclosed that members of the Rapid Assessment team, search and rescue personnel and a communications kit will depart for Dominica on Tuesday evening along with a CDEMA team . He added that units will also be deployed from St Lucia and St Vincent and the Grenadines. It is expected that the Coast Guard vessel will arrive by 6 a.m. Wednesday morning and it will also be taking supplies from Barbados to Dominica, which, Jackson said, had depleted its own reserves while assisting sister islands affected by Hurricane Irma earlier this month. “Dominica, through their own solidarity with some of the affected states, would have deployed a lot of their emergency relief items to the British Virgin Islands so they are currently without adequate relief supplies,” he explained, saying that Dominica has an immediate need for supplies to begin its national response to the disaster. Jackson said based on the geography of Dominica, the rescue and relief operations will be “extremely complex”. He said while communication on what is happening on the ground is still very sketchy, disaster officials are anticipating a series of landslides and rockfalls all over Dominica which, he said, will make access to very difficult via road or foot. CDEMA was, however, able to confirm, through amateur radio contact with Dominica in the early afternoon, severe damage to Marigot on the northeastern side of island. . According to Jackson, the entire population of Dominica, some 69 – 70,000 people, would face direct or indirect impacts from the hurricane, in terms of shelter, access or relief distribution. 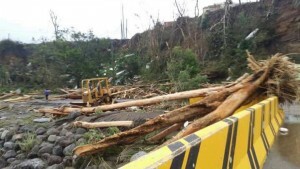 Late Monday Dominica’s Prime Minister, Roosevelt Skerrit, who had earlier reported that he had to be “rescued’ from his own residence, said in a Whatsapp message relayed by Senior Counsel Anthony Astaphan that the world must know of the devastation to the island. Skerrit, who had earlier reported that he had to be “rescued’ from his own residence, said in a Whatsapp message relayed by Senior Counsel Anthony Astaphan that the world must know of the devastation to the island. BRIDGETOWN, Barbados, Sep. 20, CMC – The World Council of Credit Unions (WOCCU) has activated a Caribbean Relief Fund to support credit unions that have been affected by Hurricane Irma that recently devastated sections of the Caribbean . According to the WOCCU, there are more than 10,000 active credit union members in Anguilla, Barbuda, Tortoal and St. Kitts Nevis – countries that felt the wrath of Irma, the most powerful Atlantic hurricane in recorded history. 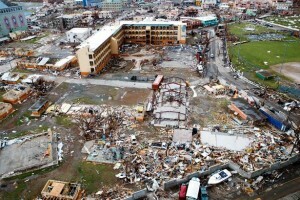 Unofficial estimates from the Caribbean Confederation of Credit Unions, a member of the World Council, indicate that approximately US$1.9 billion may be required for reconstruction in the affected countries. “It is through these difficult times that out global community comes together to show its strength and reach beyond borders to help those in need,” said Brian Branch, the president and chief executive to WOCCU. The WOCCU is raising funds through the Worldwide Foundation of Credit Unions, its official gift receiving and grant making arm. In addition to the Caribbean region, the foundation is raising funds to provide relief for those impacted by storms in the United States. Over the past four years, the foundation has devlivered approximately US$1 million in aid to credit union organisations affected by natural disasters in the Philippines, Nepal, Ecuador, Malawi and Columbia. 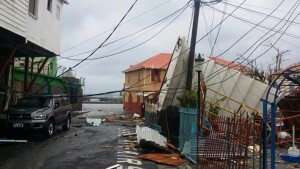 BRIDGETOWN, Barbados, Sep. 20, CMC – Member states within the Caribbean Community (CARICOM) are preparing to offer assistance to Dominica following the passage of Hurricane Maria late Monday. According CARICOM Chairman, Grenada’s Prime Minister Dr. Keith Mitchell of Grenada, the situation is a challenging one. 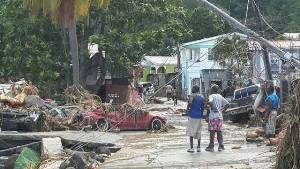 “It is clear that we have a tremendous challenge on our hands, in the Caribbean region as a whole,” said Mitchell who was responding to the effects of Hurricane Maria in Dominica, said he spoke to his colleague Prime Minister Roosevelt Skerrit late Monday, during the passage of the hurricane. Mitchell recently returned from the Turks and Caicos and several Islands in the Bahamas that were affected by Hurricane Irma last week. And in St. Lucia following a meeting of the Cabinet of Ministers, acting Prime Minister Lenard Montoute said plans were already underway to make St Lucia an operational base for the relief effort to Dominica. He also said that communication has been made with the French and Venezuelan authorities in terms of assistance. “St Lucia will be used as the base for relief efforts into Dominica because, as you can well appreciate, the airports are not operational; neither are the sea ports. Reconnaissance flights will have to be made to ascertain the actual situation on the ground and for immediate preparation to be made for the landing of helicopters and other aircrafts. We are looking at what assistance we can give immediately and that may entail medical assistance and sending medical personnel and people with expertise in search and rescue. We are hoping that by this evening an assessment of the situation would have been made and we can get a better appreciation of the kind of assistance that is immediately required,” Mitchell said. With St Lucia being used as an operational base for the humanitarian effort, the Government has agreed in conjunction with the St Lucia Air and Sea Port Authority to waive fees and facilitate the use of warehouse facilities for receipt and distribution. Meanwhile, the political leader of the main opposition St. Lucia Labour Party Philip J. Pierre says the party has initiated a “help Dominica” drive and the party has opened its headquarters in order to receive donations. Seven people have so far been confirmed dead as a result of Hurricane Maria’s direct hit on Dominica on Monday night., but there are fears that death toll could rise as officials get into communities that have not yet been reached. St Lucia is coordinating with the Organisation of Eastern Caribbean States (OECS) Commission on the response efforts. GEOGETOWN, Guyana, Sep. 21, CMC – The British Government is working with Guyana in an effort to get supplies to countries in the region that have been devastated by hurricanes. 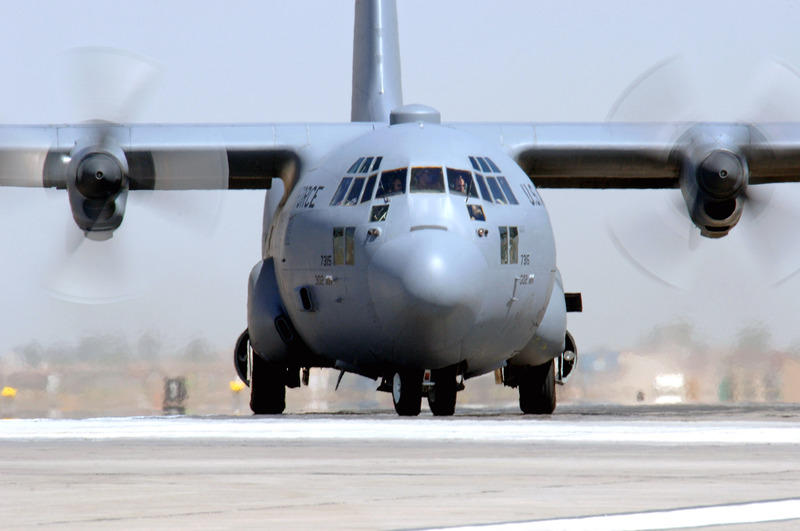 On Thursday, Minister of State Joe Harmon said the British Government through the local High Commission has indicated that it will make a C-130 military aircraft available to take supplies from Guyana to Antigua and Barbuda. Harmon told reporters that at least 10 containers will be dispatched initially with supplies . He said the supplies will be taken to Antigua from where they will be distributed by the Caribbean Disaster Emergency Management Agency (CDEMA). According to Harmon, the government has also committed to sending medical and other emergency personnel to the islands. He added that prior to Britain’s help, the private sector was considering hiring a 300 tonne capacity vessel to take the supplies. GAICO, a privately-owned company, has already paid US$12,000 to transport one container of supplies to Antigua. The supplies will be distributed to St Maarten, Barbuda, the British Virgin Islands, Anguilla and Dominica that were all affected by Hurricanes Irma and Maria. Posted on 21 September 2017. ROSEAU, Dominica, Sep. 20, CMC – A state of emergency has been declared in Dominica following the devastation caused by Hurricane Maria. In a statement on Wednesday, Prime Minister Roosevelt Skerrit said the Commonwealth of Dominica is still isolated with no means of communications and and transportation connections to the neghbouring islands. Skerrit said the French government is sending a helicopter to the devasted country to provide assistance and facilitate the evaluation of the situation . The Prime Minister said with recovery now underway he has declared a state of emergency and a curfew from 4pm to 8pm daily. In the aftermath of the hurricane, seven persons have been confirmed dead . “It’s difficult to determine the level of fatalities but so far seven are confirmed, as a direct result of the hurricane. That figure, the Prime Minister fears, will rise as he wades his way into the rural communities today – Wednesday,” said Hartley Henry , the Prime Minister’s principal advisor. On Tuesday the executive director of the Barbados baed Caribbean Disaster Emergency Management Agency (CDEMA) Ronald Jackson said that based on historical knowledge of Dominica and the fact that the eye of storm swept across the island from southeast to northwest, there would be “billions of dollars” in damage, with virtually every one of the estimated 70,000 population directly or indirectly impacted. TORTOLA, British Virgin Islands, Sep. 20, CMC – Governor of the British Virgin Islands, Augustus Jaspert on Wednesday gave an all-clear signal for essential and emergency workers to resume operations following the close passage of Hurricane Maria . 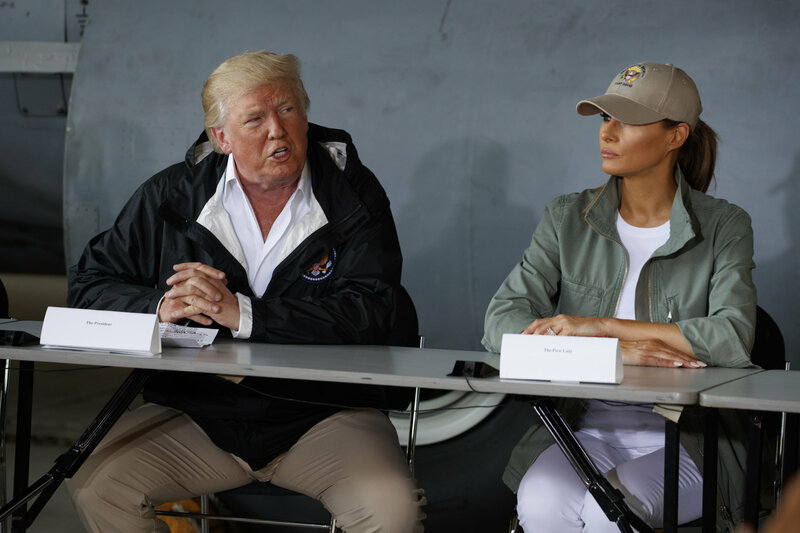 However, he urged everyone else to stay indoors, adding that debris and damage caused by Maria pose some amount of risk to residents. “Therefore, I am now giving the all-clear to emergency and essential workers only to help conduct the rapid assessment and to ensure that we are able to clear roadways. This means that only critical agencies should be on the roads – all other persons must still stay off the roads. There are still risks from debris and damage from Maria,” he said. The Governor added that although Maria continues to move away from the BVI, squalls, rain and high surf will continue to affect the territory throughout the day until the hurricane moves away fully. According to Jaspert, following assessment of the damage caused by Maria, the Government will re-establish plans to continue with the recovery efforts. “I urge all persons of the BVI, to please adhere to the instructions being given and to ensure full cooperation. The curfew remains in place for all people apart from emergency responders. Please continue to remain indoors and allow us adequate time to complete the assessments and initiate the necessary immediate response. I will advise you later in the day when the public all-clear is given,” he said. He offered sympathies to Dominica and the US Virgin Islands which were badly affected by Hurricane Maria and noted that he fully supports the call by the Governor of Puerto Rico to ensure individuals are fully prepared for the approaching Hurricane. Meanwhile, Hurricane Maria knocked out power to the entire island of Puerto Rico. Head of the Diaster Management Agency, Abner Gómez said the hurricane had damaged “everything in its path”. The National Hurricane Centre at 2:00 pm (local time) said Maria had moved offshore the northwestern coast of Puerto Rico and was moving toward the northwest near 12 miles per hour. It said the center will then pass offshore of the northeastern coast of the Dominican Republic on Wednesday night and Thursday and then move near the Turks and Caicos Islands and southeastern Bahamas Thursday night and Friday. Little change in strength is forecast during the next 48 hours, and Maria is expected to remain a dangerous major hurricane through Friday.